This year I’ve decided to change up my book reviews posts. Instead of randomly posting, I’ll now post every month about 3 YA books that I’ve read, each month in a new genre. So, if you’re not interested in other teen books you can skip past this Book Review Post. I’ll still be sending out posts marked UPDATES regarding news about my own work every other month. But for those of you who have kids or grandkids or you yourself like teen books (like me! ), each month I’ll introduce some of my favorite Christian and Catholic YA books. 2 – There are a lot of fantastic, clean, faith based books out there. 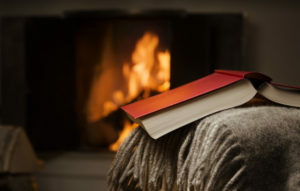 Books that are entertaining yet wholesome and reflect Christian values. Mystery, Suspense, Whodunnit, oh my! I’m starting with my favorite genre. I’ve always been drawn to mysteries and all the excitement and anticipation of figuring out the story. From Hardy Boys to Castle, I’ve been a mystery enthusiast. So, it’s not too surprising that I love to write mysteries as well. Here are my top 3 mystery recommendations. Yep, this is my book. Maybe it’s a shameless plug but it is one of my favorites and it has been received well, winning a Catholic Press Association First Place Book Award and an Illumination Christian Book Award Silver Medal. And it’s about an Olympic snowboarder – perfect to get you in the mood for the upcoming Olympics! In case you haven’t had a chance to read it yet, this is the story of two teens. 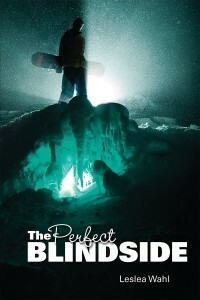 Jake, a Silver-Medal winning snowboarder, who along with his enlarged ego, moves to a small Colorado mountain town. Sophie, an aspiring journalist, is less than thrilled that the famous athlete will be moving to Silver Springs. A set of circumstances lead them to work together to uncover the mystery that is plaguing their small community. 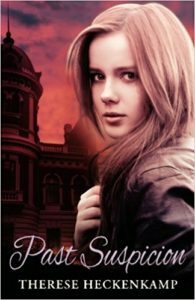 This adventure is filled with action, mystery, romance, humor and faith. This book will always hold a special place in my heart because this story helped me to be the writer I am today. Years ago, when I had finished writing my first clean teen book (the above mentioned book!) and was searching unsuccessfully for a publisher, I came across this book in my local bookstore. It had all the elements I love in a great book – adventure, mystery, romance and humor. But it had another element that I didn’t expect – faith. A subtle message that just became part of the story but added something truly meaningful to this fun story. I realized this was what my mystery was missing – a deeper meaning – a message of faith. Once I added that element to my story, suddenly everything changed, and I found an interested publisher. But enough about me. 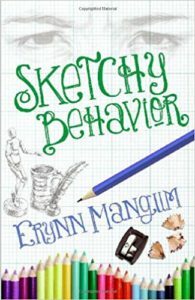 Sketchy Behavior is about a teen, Kate Carter, who is about as ordinary as they come. But when she discovers a talent for sketching faces based on a description, she finds herself helping the police track down a serial killer. This seemingly good deed fills her unassuming, simple world with complications and danger. Along the way she discovers a cute boy and a pull towards her faith at the local Baptist church. The premise might sound a little heavy, but the author adds lots of humor to keep this story moving along in a delightful way. All these books can be found on Amazon. I’ve set links, just click on the highlighted titles. For those who don’t use Amazon you can also check Barnes and Noble online or www.indiebound.org where you can search for books and the local bookstores that might carry them or order them directly from the website. You can also ask a local bookstore to order the books for you. Next month I’ll be reviewing Christian/Catholic teen Romances, just in time for Valentine’s Day. But if you’d like more reviews before then you can always check out my recommendation section on my website: YA Recommendations.